This is a bathroom design using Deskey elements to offer a striking Art Deco bathroom. 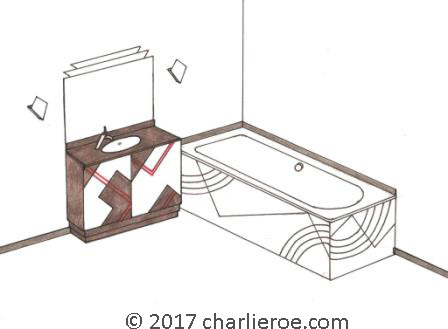 The original idea came from Deskey's above, then a couple of vanity unit designs above followed by a bathroom scheme. 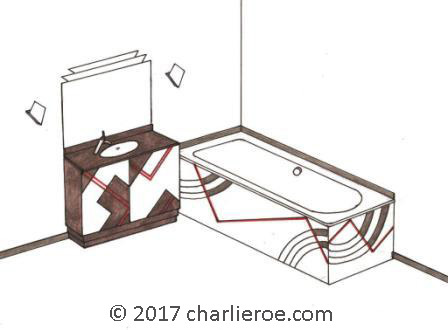 The whole effect is high effective, combining square shape furniture panels with Cubist patterns. 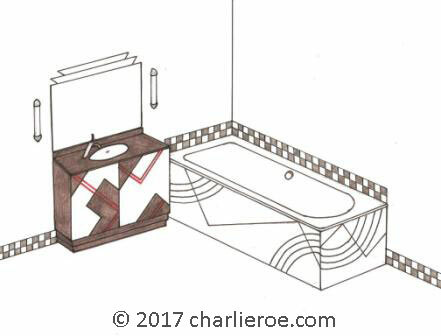 The bath panels were based on another Deskey design. Thre are many variations possible with this style, and we've shown a few below. 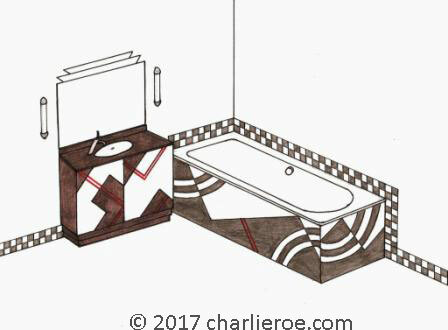 Throw in some interesting tiles / tile patterns & you have a great Jazz interior. 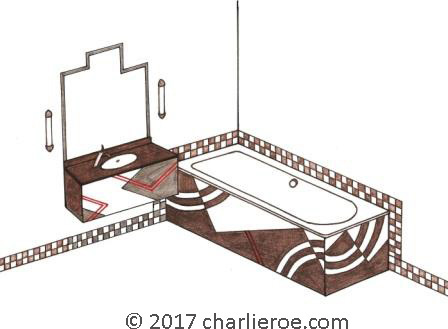 We offer a complete bathroom design service if you want to do something interesting. 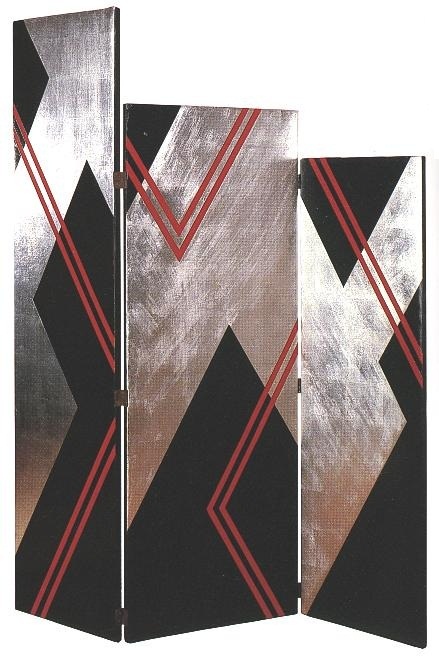 Deskey was a superb and prolific Art Deco designer, and this screen, c.1929, was perhaps his most striking piece. It is very typical of his best work, the colours and designs were used in several media. 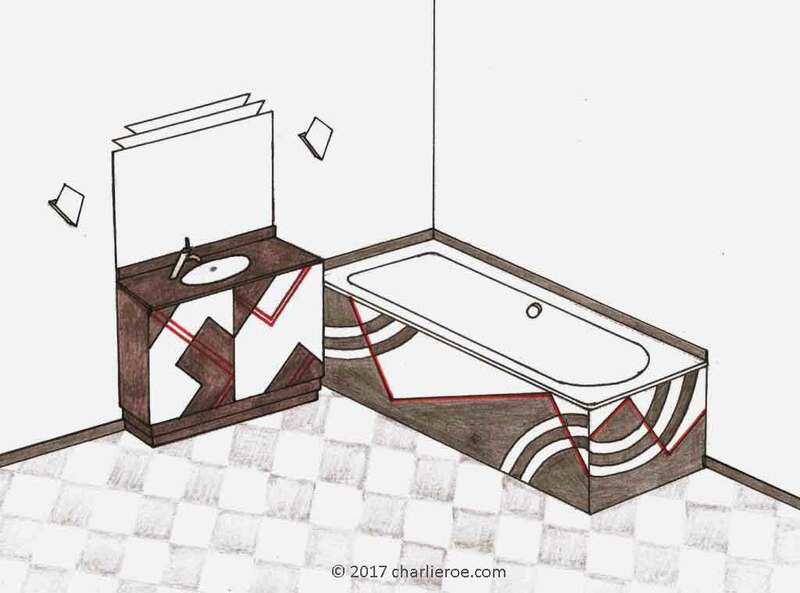 The use of rich colours in the cubist zigzag patterns are so typical of Art deco. This screen above formed the kernal for a whole new range of designs, shown in these Deskey pages. The design variations keep on coming from this original source. 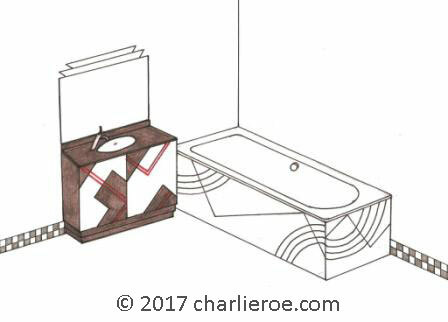 The design has been adapted to a vanity unit, which would look striking in a bathroom & really establish an Art Deco theme. 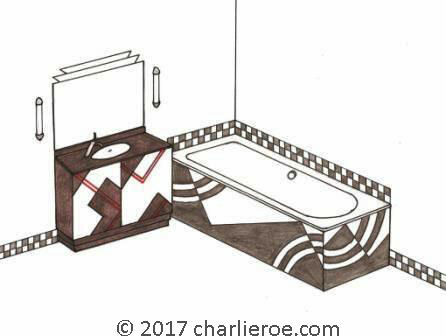 The stepped base is a nice Deco touch, but also practical by allowing you to stand nearer the unit. 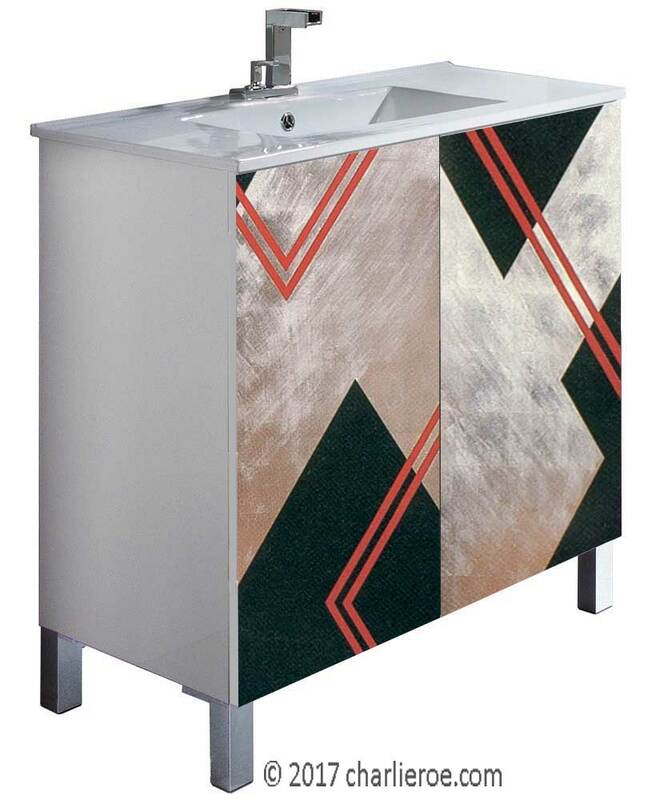 One vanity is shown on more contemporary legs, which still fit in with a Deco look. The doors are on push catches, allowing them to be handleless. This vanity is shown with a 1 piece worktop sink, a standard commecial piece. 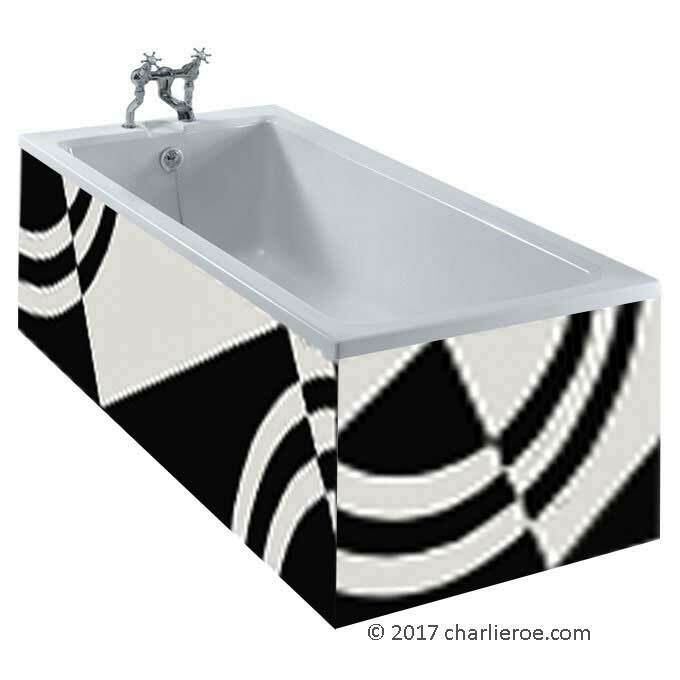 There are many sizes to choose from for these, or you could use a good stone or Corian worktop & undermounted sink. Have a minimalist clean mirror above, or something with a more striking profile, such as the Skyscraper mirror shown. Or have a full mirror wall unit, giving you some storage. 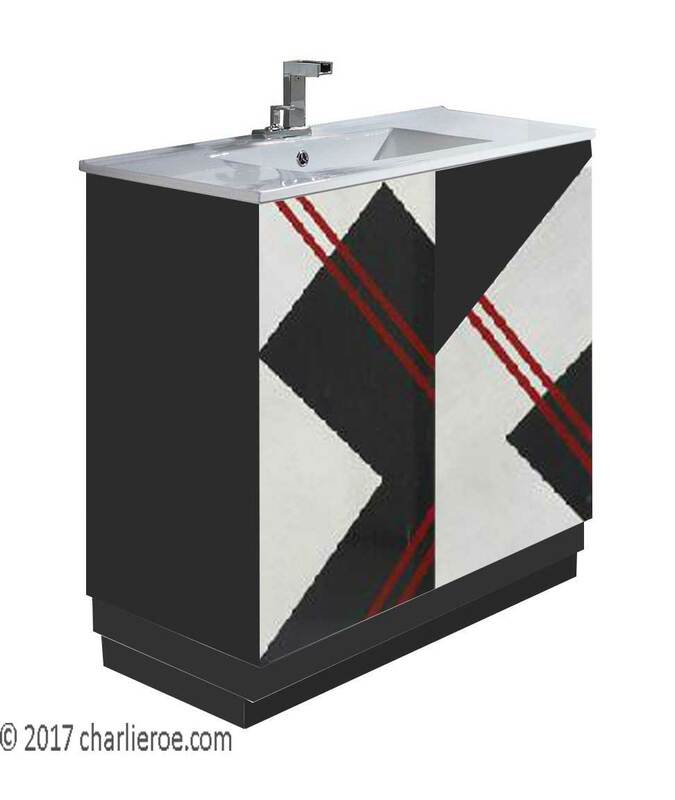 These vanity units can either be freestanding or built-in, or maybe a wall mounted vanity unit ?. 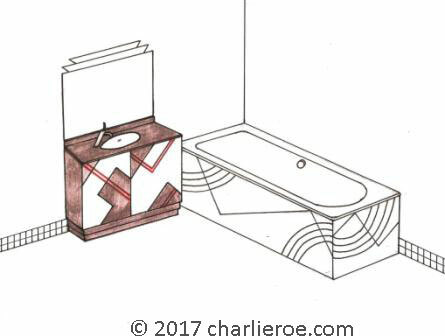 Although shown as a single unit it could easily be extended to a double, with matching basins. 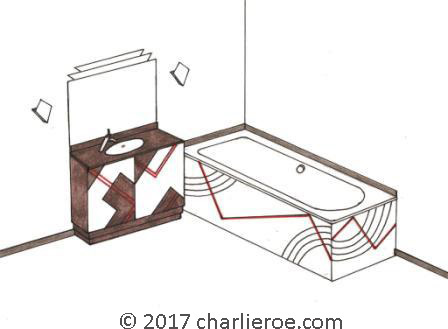 Then start picking out tile patterns & colours with this design basis to create a real wow bathroom. 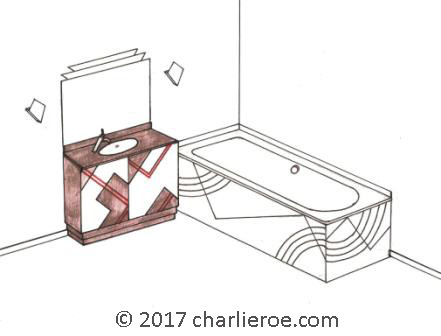 The version above uses a tile or stone upstand to visually link the various parts of the bathroom. The version below the same thing with a simple but effective chequered border (which could have done the same thing on the floor as on the wall). 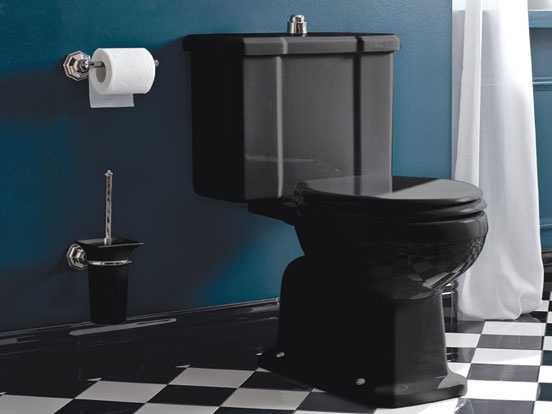 Now to really complete the dramatic look try adding in an Art Deco wc & bidet, in black finish! As shown below. 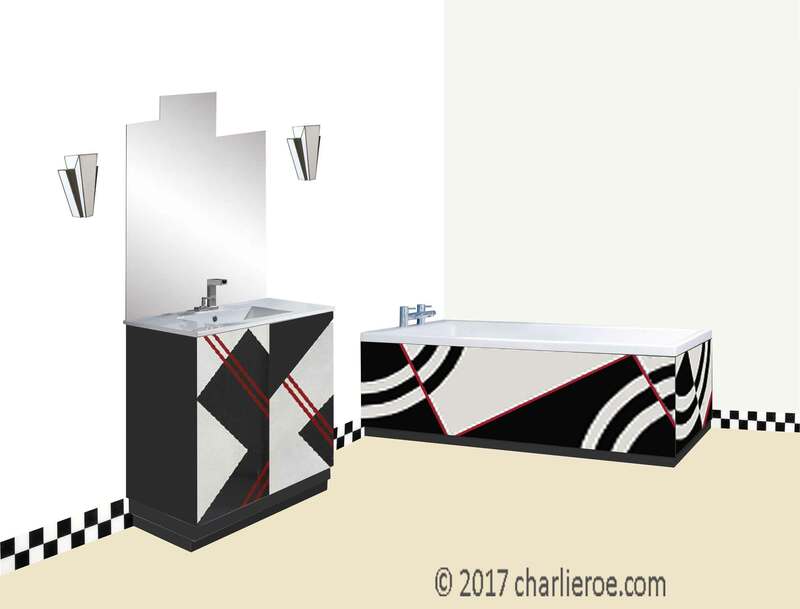 You now have one Wow Deco bathroom. 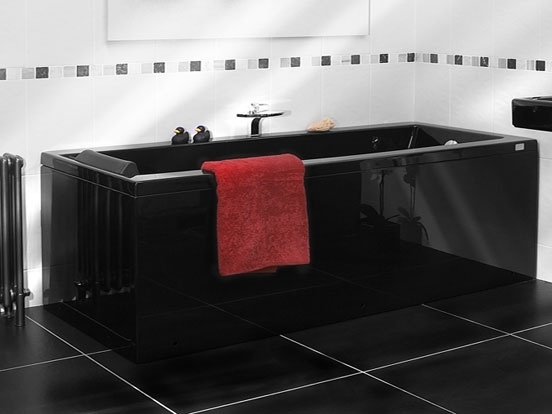 For the very brave have a black bath as well. 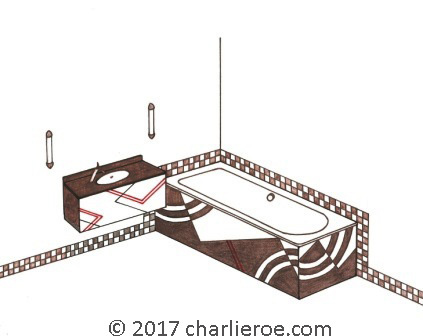 We can supply the black Deco suite seperately, including a range of basins & pedestal basins, taps, accessories, etc..
We register our new designs as they are added to the website. 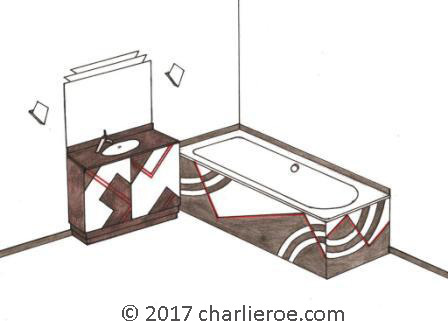 While we don't claim any exclusivity to Deskey's original designs, our furniture using these designs are our copyright.